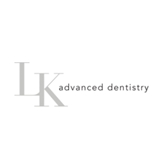 LK advanced dentistry (New York) - Book Appointment Online! We believe that a healthy, vibrant smile is a key part of overall beauty and wellness. This belief fuels our passion for helping people to achieve their perfect smile and to keep them perfect by maintaining their oral health. We understand that every individual is unique, and therefore we offer customized treatment options that incorporate the specific goals and expectations of each patient. By combining our clinical expertise in cosmetic and restorative procedures with cutting-edge technology, we are able to offer the highest quality dental care. We aim to make each and every visit to our office as simple and effortless as possible in order to minimize the interference to your daily life. Our ultimate goal is to help you smile better so that you can live better. Cancellations without a 24 hour advanced notice are subject to a fee. Professional, caring and high attention to detail, she was fantastic. Clean office and operatory. Doctor Lee was very pleasant and answered all my questions. Only ended up getting a cleaning at the time but it was painless. Will definitely be visiting again when I next need any dental procedure.